Since opening in 2004, the swanky Parker Palm Springs has brought true, five-star service combined with seriously stylish and luxurious accommodations back to the desert resort city. The mid-century modern masterpiece ushered in a renaissance of new, younger visitors (and cool, hip hotels) that continues today. The Parker, situated amid 13 lushly landscaped acres on Palm Canyon Drive about ten minutes from downtown Palm Springs, continues to be the hottest place to stay for desert events like Coachella and the Palm Springs Film Festival. Here are two video tours, the first is Junior Suite Number 1, located in the main building. The second tour is one of the 12 villas, Villa Zoe, named for the hotel founder’s granddaughter. Aside from the cool accommodations, foodies have a range of dining choices, there’s a casual restaurant (Norma’s), a fine dining restaurant (Mr. Parker’s) and a lounge that also serves food. There’s an outdoor lemonade stand / snack bar and a cool little bar in the lobby called Mini Bar. Guests also can enjoy three pools, a boules court, a croquet lawn, tennis courts and bikes. 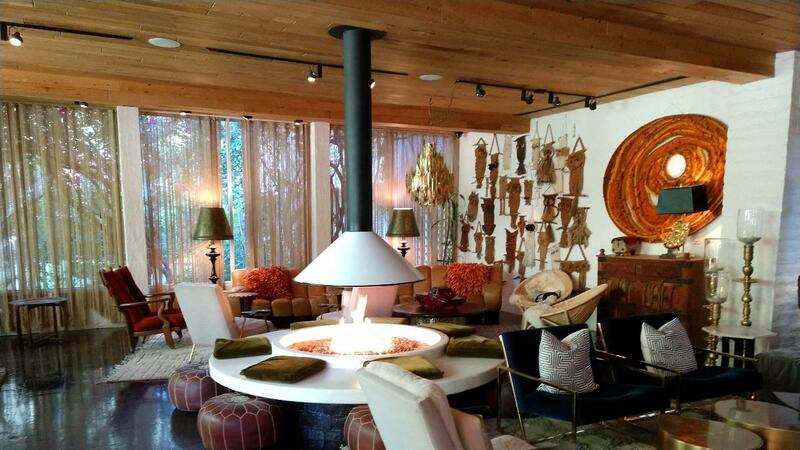 Of course there’s a large spa, called the Palm Springs Yacht Club offering a range of treatments and services. 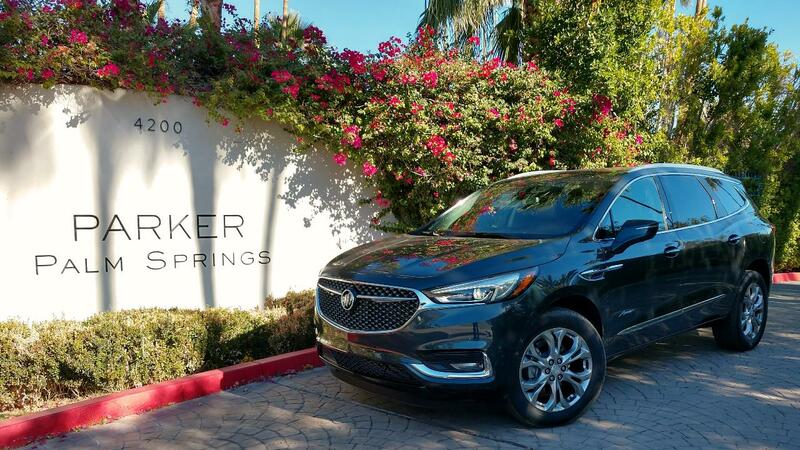 To get to the Parker in style, I drove the 2018 Buick Enclave Avenir. 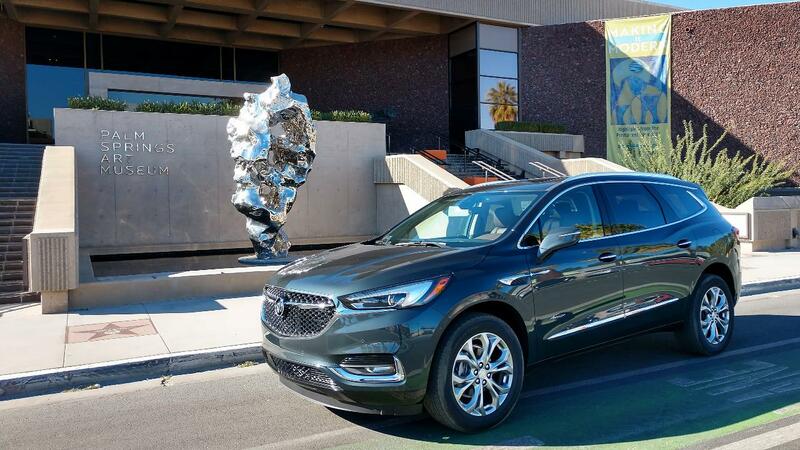 Avenir is Buick’s new premium trim level and the Enclave mid-size SUV is the first vehicle to carry the name. With luxurious leather seating for seven and every driver aid and infotainment amenity you could want, it’s a great way to get to the desert. 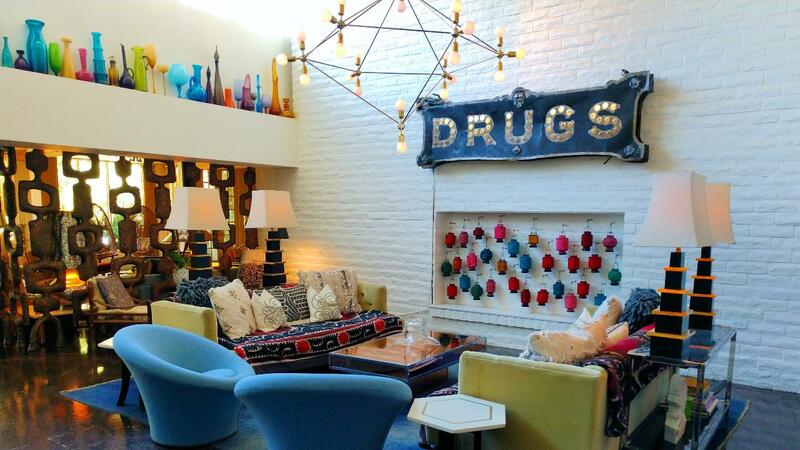 While in Palm Springs, I visited the very cool Palm Springs Art Museum, located right in the downtown area. The museum has a wonderful collection with a nice concentration on 19th and 20th century American artists. There’s also a branch of the museum in Palm Desert.